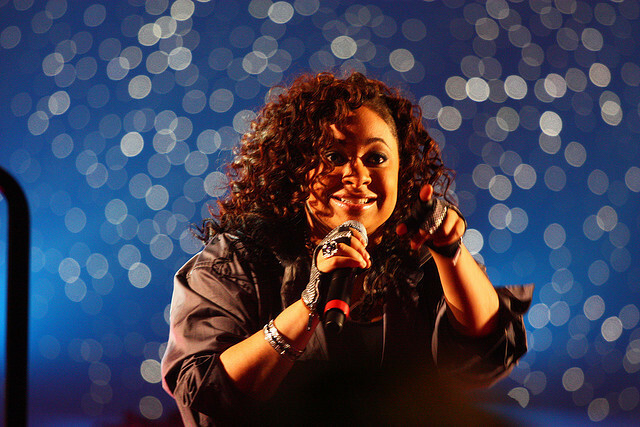 Raven-Symoné Christina Pearman was born on December 10, 1985, in Atlanta, Georgia to Lydia and Christopher B. Pearman. She lived and grew up in Ossining, New York where she attended Park School. As an infant Raven worked for Atlanta’s Young Faces Inc. Modelling Agency and was featured in local print advertisements. At the age of two she worked with Ford Models in New York and appeared in ads for Ritz crackers, Jell-O, Fisher Price, and Cool Whip. She went on to audition for the film Ghost Dad at the age of three, but was considered too young to play the role. However, having not gained that part, she was recommended for a part on The Cosby Show and was eventually cast as Olivia, the three year old stepdaughter of Denise Huxtable (Lisa Bonet), the main character’s daughter, in September 1989. Raven held that part until the end of the series in 1992, where after she joined the cast of ABC’s sitcom, Hangin’ with Mr. Cooper as Nicole, the cousin of Mark Curry’s character Mark Cooper.